About 6 months ago when perusing the the TMP web site, I came across a reference to Wallmoden's Korps. I was immediately intrigued as described was a mixed corps of multiple central and eastern european countries. Included were battalions and regiments from Russia, Prussia, Hanover, the Hanseatic League, the principality of Anhalt-Dessau, as well as Highlanders and the KGL, but what was most amazing there was even a British rocket troop. Who could resist painting up these figures. By then I was getting bored of painting British, French and Portuguese for my peninsular war units. Also exciting was the fact that I could finally order some of those Calpe figures, I have heard so much about. I also love researching new units and uniforms. So who was this Wallmoden, time to start using google. From Wikipedia came some basic biographic details. 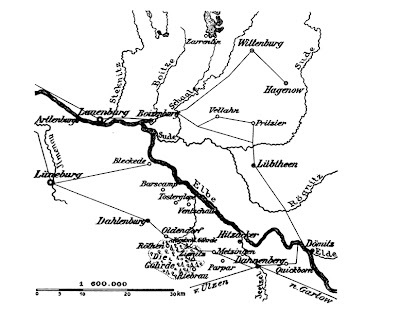 Ludwig von Wallmoden was the son of Johann Ludwig Reichsgraf von Wallmoden-Gimborn (1736-1811), an illegitimate son of George II, King of England. He was apparently born in Austria and served in multiple different armies through the Napoleonic era, including Hanover, Prussia and Austria. 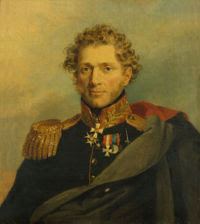 In 1813 he transfered to the Russian army and became the head of the Russian-German Legion. Soon as the War of the Sixth Coalition was developing he was given his own corps as a part of the Allied Army of the North. 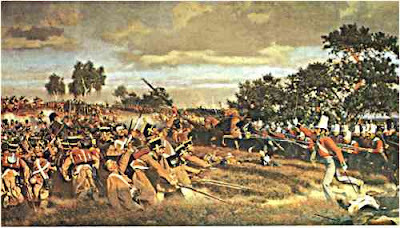 During the Battle of the Göhrde, he and his corps held out against not only General Davout's force but also the French division under Pécheux, later penetrating into Schleswig and forcing the Danes to make peace. He survived the Napoleonic wars, served with the Austrian army in Italy and finally retired in 1848. He died in Vienna in 1862. I really do not have a good sense yet of how Wallmoden's Korps fit into the allied armies of 1813 and the major battles of this critical year in the Napoleonic Era. It does, however, look like an exciting army to paint so I made my plans. 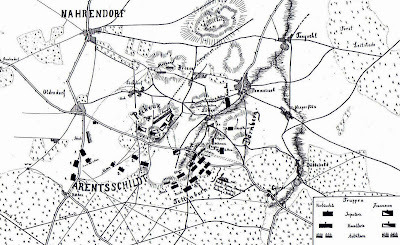 I could find enough information about the troop composition at Battle of Göhrde, so I decided to start there.